Hyundai Motor has revealed its upcoming SUV will be named Kona, after the coastal region in Hawaii, USA. Kona is a renowned destination for thrill-seeking travelers and reflects the adventurous spirit of Hyundai Motor’s newest SUV, set to be revealed in 2017. The imminent arrival of Kona marks Hyundai Motor’s bold first move into the B-SUV segment and leads the wider expansion of its SUV range by slotting it below the Tucson. The Kona name continues Hyundai’s tradition of naming crossover and SUV models after acclaimed travel destinations – notably the Santa Fe and Tucson – with the new compact SUV reflecting many of the lifestyle attributes of the desirable Kona district on the Big Island of Hawaii. The Hawaiian destination is valued by North Pacific adventurers as a base for many thrill-seeking activities, including surfing, water skiing and scuba diving, among other extreme sports. The island’s energetic image is reflected in the innovative, practical and highly functional design of Hyundai’s new lifestyle-focused SUV. The Kona has also been developed with a focus on enhancing driving dynamics, as Hyundai looks to set new performance standards for the segment. Kona delivers best-in-class interior space and innovative design features that hint at the future direction of the brand’s next generation of SUV models. 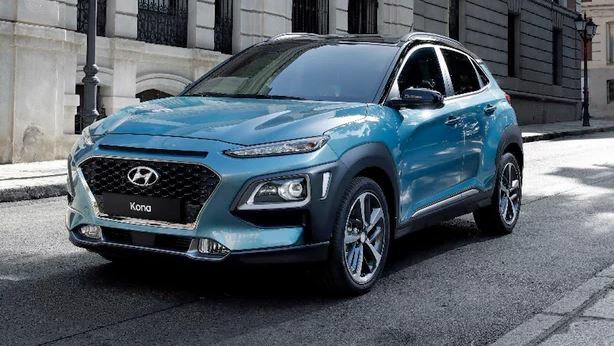 By adding the Kona into its current SUV line-up that also features the Tucson, Santa Fe and Santa Fe XL, Hyundai Motor continues to deliver on its promise to develop SUVs that feature bold, striking design and high interior refinement and spaciousness. These core attributes have been identified by Hyundai Motor as key selling points in an increasingly popular market for customers. The name of the Kona district – located on the western coast of the Big Island of Hawaii – is itself derived from an ancient Hawaiian language. As well as being a perfect location for extreme sports, the Kona area is internationally renowned for growing globally recognized premium coffee beans, considered by many to be among the world’s best.